Same concept as my previous Blog Posts. I work and commute long hours so having portable options is my only saving grace! I get bored easy so reinvention is the key to my success on staying clean. Layer and shove you face in to enjoy! Stores in refrigerator for several days do make ahead. 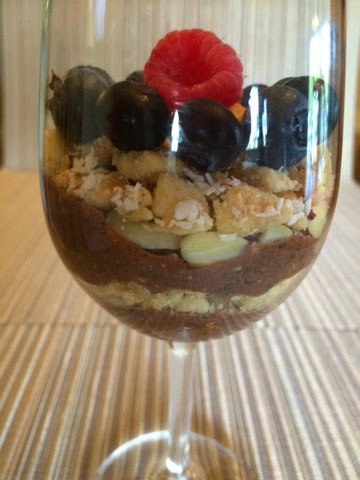 Fun with Paleo Chia Pudding!